TR Consulting located in Collingwood specialises in Business Strategy & Advisory Services, Website Development & Online Marketing and Financial Consulting Services. 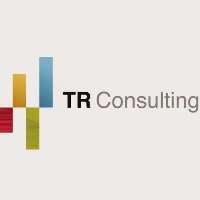 TR Consulting offer tailored consulting services in Business Strategy& Advisory, Website Development & Online Marketing and Financial Consulting. Our services are aimed at improving the profitability of your business and providing you with a direct return on your investment.We use innovative methods to unlock your hidden potential and steer your business to success. We are really passionate about what we do and aim to bring this to your business. Having access to professionals that possess the technical skills and knowledge that you require to resource key projects and to provide innovative and smart business solutions, is the greatest advantage a business can have against its competitors. You hire us when the need arises and for the duration you require, making this the most cost effective manner for you to meet your business objectives. At TR Consulting, our sole focus is to add value to your business. We are continuously reviewing our services and products so that we can disseminate the most current industry knowledge and best practice to provide leading solutions.All our services are delivered in person, we believe this is the only way to truly understand your needs and expectations. TR Consulting's core values are based on honesty and integrity and what differentiates us from others is the commitment to ensuring our customers get what they ask for. Our fees and charges are linked to successful project outcomes, which means your success is always at the forefront of what we do. Contact TR Consulting today, for all your digital marketing services needs Melbourne and surrounding region.